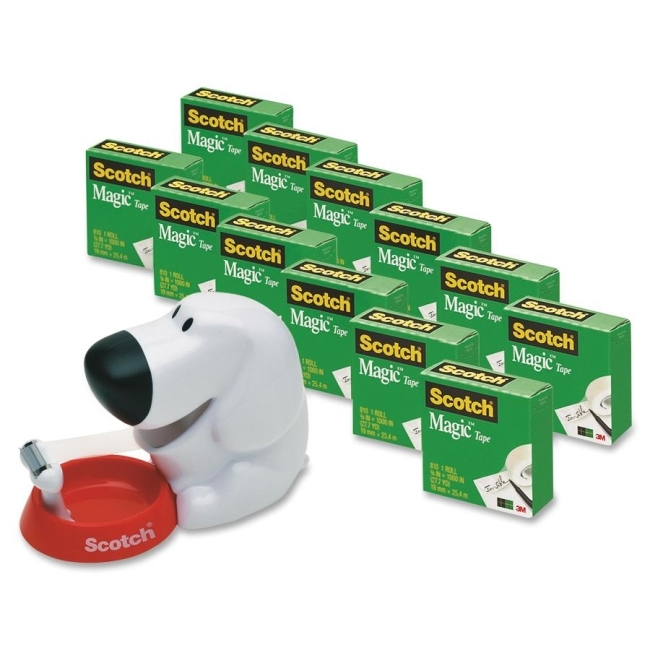 Scotch Tape Dispenser is modeled after a friendly dog to be a loyal friend for your desktop and to provide stylish, easy, one-handed dispensing. High-quality blade lasts for years. Refill easily with standard tape rolls that have 1" cores and measure up to 3/4" x 1296". Dispenser includes 3/4" x 350" Scotch Magic Tape. Tape is invisible when applied and won't show on copies. It can be written on with pen, pencil or marker and pulls off the roll smoothly.